The National Board of Review was originally founded to protest New York City Mayor George B. McClellan, Jr.’s revocation of moving picture exhibition licenses on Christmas Eve 1908. The mayor believed that the new medium downgraded the morals of the community. To assert their constitutional freedom of expression, theater owners led by Marcus Loew and the top film distributors of the day – Edison, Biograph, Pathe and Gaumont – joined John Collier of the People’s Institute at Cooper Union and established the New York Board of Motion Picture Censorship. 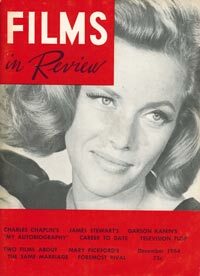 The organization, which changed its name to the National Board of Review of Motion Pictures to avoid the taint of the word “censorship,” became a clearinghouse that endorsed films of merit and championed the new “art of the people,” which was transforming America’s — and soon the world’s — cultural life. For over a century, the National Board of Review has pointed the way to the best in international cinema. The very first film review in the New York Times (for D. W. Griffith’s Pippa Passes in 1909) praised the Board for having an impact on pioneer filmmakers to uplift the art form. Literally thousands of films from 1915 well into the Fifties — essentially the era in which movies grew up and developed into a Golden Age of Hollywood — bear the legend “Passed by the National Board of Review” prominently featured in the titles or end credits, reaching audiences the world over, and still visible today and through TV and DVD screenings. For a full century, almost as long as the art form itself, the National Board of Review has pointed the way to the best in international cinema. 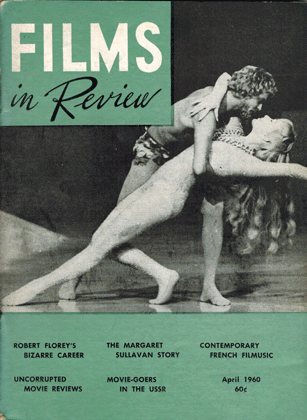 The NBR was the first group to champion film as art form, not only through its publication, Films in Review, but our annual awards. 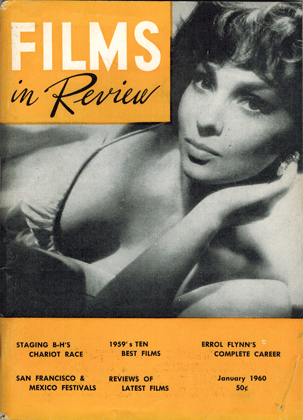 The NBR was the only major group to bestow Best Picture awards to Orson Welles’ Citizen Kane, John Ford’s The Grapes of Wrath and The Quiet Man, William Wellman’s The Ox-Bow Incident, Vittorio DeSica’s The Bicycle Thief, Billy Wilder’s Sunset Boulevard, George Stevens’ A Place in the Sun, Woody Allen’s Manhattan and Steven Spielberg’s Empire of the Sun. In the past decade, Braveheart, Sling Blade, Good Will Hunting, Life is Beautiful, American Beauty, and No Country for Old Men all won their first awards from the NBR prior to the Oscars, as did Hilary Swank, Julia Roberts, Halle Berry, Jamie Foxx and Sean Penn, Helen Mirren, and Forest Whitaker among others. The NBR is about honoring our cinematic past … and celebrating our cinematic future. Our student grant program has helped young filmmakers finish their projects and exhibit them around the world at such film festivals as Sundance, Slamdance, Telluride, New Directors/New Films, and we are proud to say that several of these filmmakers have won Student Academy Awards.